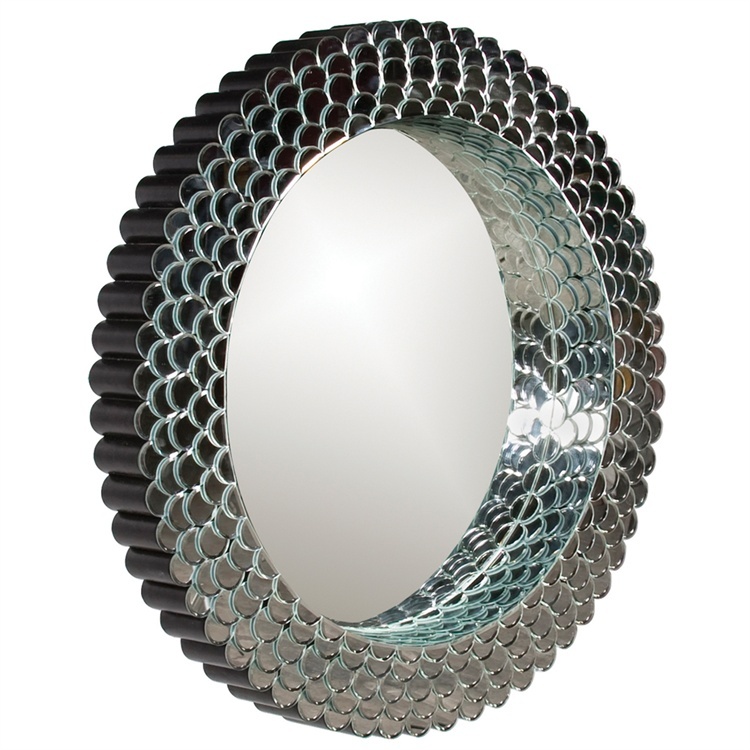 The Amarillo Mirror features a deep round frame of overlapping mirrored scales that produce the most amazing reflections of light and color. This gives the piece a contemporary 3D look on your wall. While each little scale of the frame is beveled, the main mirror is not. It is a perfect focal point for any design. Customizable for larger orders.